The Source to Spectrum project (S2S) is focused on understanding the formation and likelihood of preservation of the spectrum of base and precious metal deposits associated with the c. 1595–1570 Ma Hiltaba Suite and Gawler Range Volcanics magmatic event (Payne et al. 2017). This sees us shifting the focus of research away from the extensively discussed and researched Olympic iron oxide – copper–gold (IOCG) province to the regions of the Gawler Craton that have received less attention in the past decade. This article provides a brief overview of the research that is currently being undertaken, initial results from a number of studies and upcoming outputs from the project. A Wallaroo Group equivalent metasedimentary host has been determined for the Barns gold prospect that was metamorphosed during the Kimban Orogeny. This adds to the range of host lithologies for gold mineralisation, already including the Tarcoola Formation, Tunkillia Suite granites and Archean gneisses, and further demonstrates that the host lithology and metamorphic grade is not a primary control on deposit formation. Host volcanics of the Paris silver deposit are confirmed as lower Gawler Range Volcanics (1592 Ma; Fig. 1). Attempts to constrain the age of a second rhyolite dyke that is related to mineralisation have not been successful so far. Granulite facies metamorphism within the central and eastern Mount Woods Domain is dominantly Kimban Orogeny aged (Fig. 2). This provides renewed potential for preservation of upper crustal c. 1590 Ma mineral deposits in these regions, as opposed to exhumation of mid-to-lower crustal c. 1590 Ma granulite facies rocks which would have resulted in the erosion of any mineral deposits. Preliminary interpretations suggest c. 1590 Ma metamorphism and recrystallisation is dominantly related to discrete shear zone movement, intrusions and/or alteration systems. Monazite from a garnet-bearing granitic gneiss preserves a Sleafordian Orogeny crystallisation age, providing the first evidence for Archean – early Paleoproterozoic crust in the Mount Woods Domain (Janicki 2018). Figure 2 Total magnetic intensity reduced-to-pole image of the Mount Woods Domain with sampled drillholes and representative U–Pb monazite geochronology ages. Ages provided are rounded to nearest 5 Ma to provide an indicator of the age ranges present. A-type magmatism and high thermal gradient metamorphism in the Karkaroo and OBD series drillholes in the Nawa Domain are constrained to c. 1450 Ma (Morrissey et al. in press). Development of titanite U–Pb laser ablation - inductively coupled plasma - mass spectroscopy (LA-ICP-MS) geochronology in South Australia as part of S2S means we are now able to rapidly determine the age of titanite-bearing alteration and mineralisation systems. The first application of this method is to a range of skarn Cu–Au/Au and iron sulfide – copper–gold mineralisation systems, with results to be presented at the Geological Survey of South Australia Discovery Day 2018. We are also interested in knowing of any drillholes in the Gawler Craton that contain titanite formed during alteration and mineralisation. To this extent we would be pleased to hear from any geologists who know of such drillholes. 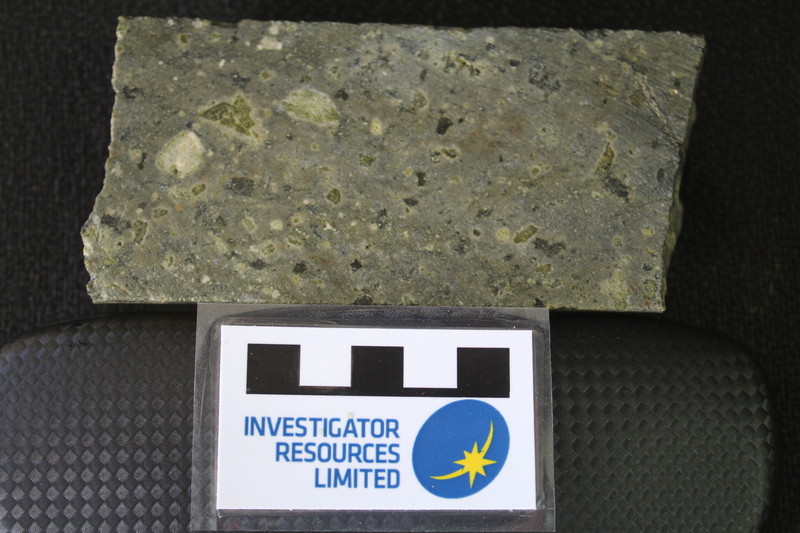 Research efforts in the coming year will focus on obtaining precise age constraints on gold, silver and base metal deposits to determine if they can be directly linked to certain phases of activity within the Gawler Range Volcanics and Hiltaba Suite. Studies are in progress at Monash University and the University of South Australia looking at the generation and character of fluids in the full spectrum of mineralising systems in the Gawler Craton. Phase equilibria modelling and experimental work is focused on determining the role of minerals such as scapolite in the generation of halogen and sulfur-rich fluids in the mid-crust during metamorphism (regional or contact) as a non-magmatic source of fluids. This will be used to assess the importance of basin-fill sequences in the generation of mineral deposits such as IOCGs. The Central Gawler Gold Province has previously been the focus of research but those studies were unable to conclusively determine if the gold deposits were driven by metamorphic or magmatic processes. S2S is reassessing this issue by investigating deposits with a wider variety of host lithologies and undertaking an in-depth study of the mafic and volcanic dykes that are near ubiquitous in the deposits. Ongoing research on the broader Hiltaba Suite intrusives is investigating the spatial variation in the composition of their crust and mantle components. Preliminary results highlight the widespread presence of an anomalously enriched or contaminated mantle reservoir. We are yet to determine the importance of this compositional reservoir for mineral deposit formation. Complementing the Central Gawler Gold Province and magmatic geochemistry study is a stable isotope and trace element geochemistry investigation into the deposits and prospects distributed across the southern Gawler Range Volcanics province. Initial results indicate that Barns gold and Paris silver are consistent with a magmatic petrogenesis (Morrissey et al. 2017). Skarn-style deposits have variable crustal input with a recycled Archean component present in the Weednanna Au–Fe skarn. Janicki M 2018. Constraining areas of possible prospectivity in the Mt Woods region of the Gawler Craton using geochronological methods. Hons thesis, University of South Australia, Adelaide. Morrissey LJ, Barovich KM, Hand M, Howard KE and Payne JL in press. Magmatism and metamorphism at ca. 1.45 Ga in the northern Gawler Craton: the Australian record of rifting within Nuna (Columbia). Geoscience Frontiers (2018). Morrissey L, LaFlamme C, Payne J and Raimondo T 2017. S isotopes across the Gawler Craton: new data on ore sources. Geological Survey of South Australia Discovery Day 2017: presentation abstracts and posters, Report Book 2017/00036. Department of the Premier and Cabinet, South Australia, Adelaide, pp. 50–51. Payne J, Raimondo T, Morrissey L, Hand M, Lilly R, Tomkins A, Reid A, Dutch R and Wade C 2017. Source to Spectrum: a new project investigating the range of mineral deposits in the Gawler Craton. MESA Journal 83:8–10. Department of the Premier and Cabinet, South Australia, Adelaide.